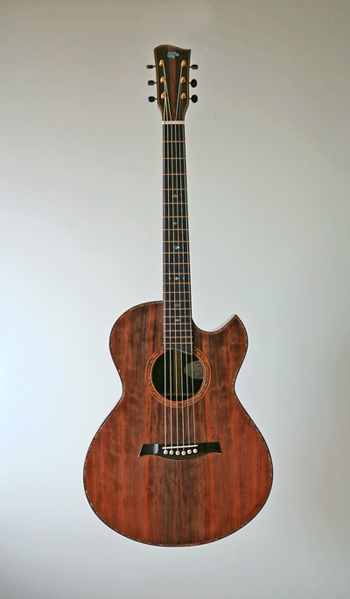 A mid-sized guitar based on the great Martin OM of the late 1930's. It's size is between an OM and A OO. With it's tuned top and premium woods, it has proven to be the go-to guitar for a variety of players.